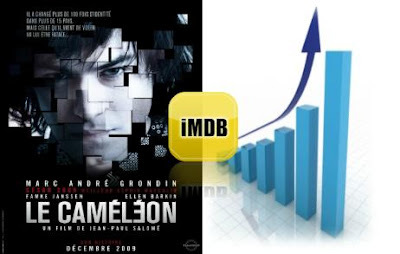 Dedicated to Emilie: "The Chameleon" up 3,356% in popularity on "IMDb"
"The Chameleon" up 3,356% in popularity on "IMDb"
"The Chameleon" hits theaters today and it seems that more and more people are interested in it. This week, the movie's popularity on "IMDb" was up 3,356%. This is really positive, because "IMDb" is a movie site visited by millions of people every week! I hope you all support Emilie and watch "The Chameleon" in theaters. In this way, the movie will be expanded in more theaters next week! Join the site's campaign and help "The Chameleon" have a successful opening weekend!